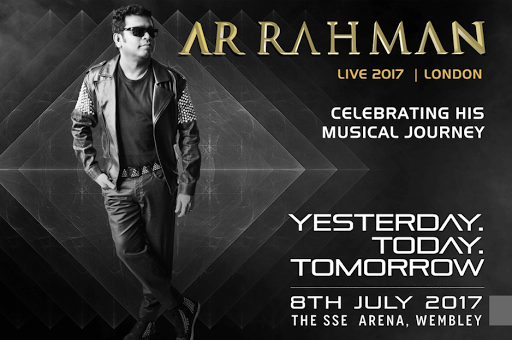 Two-time Academy Award winner and five-time nominee, two-time Grammy winner, BAFTA, and Golden Globe winner – the legendary AR Rahman returns to the SSE Arena Wembley on Saturday 8th July 2017 after seven years with the “Yesterday, Today, Tomorrow” concert. Celebrating 25 years since his acclaimed film music debut Roja, the visionary composer will be joined onstage by very special guests including Benny Dayal, Javed Ali, Neeti Mohan, Haricharan, Jonita Gandhi, Ranjit Barot and many more. “Yesterday, Today, Tomorrow” marks the first in a global series, celebrating 25 years of the timeless music of AR Rahman and his team, who have crafted and perfected performances that are enriched with high-scale technology and production. Leading engineers from around the world have been brought on board to present spectacular lighting and visuals as a backdrop to the live sounds of the musical genius, creating a multi-media extravaganza that will provide a once-in-a-lifetime experience for fans and audiences. “Yesterday, Today, Tomorrow” will chronicle AR Rahman’s musical journey from past to present to future. Popularly known as the man who has redefined contemporary Indian music, he was named in 2009 as one of TIME Magazine’s most influential people in the world. 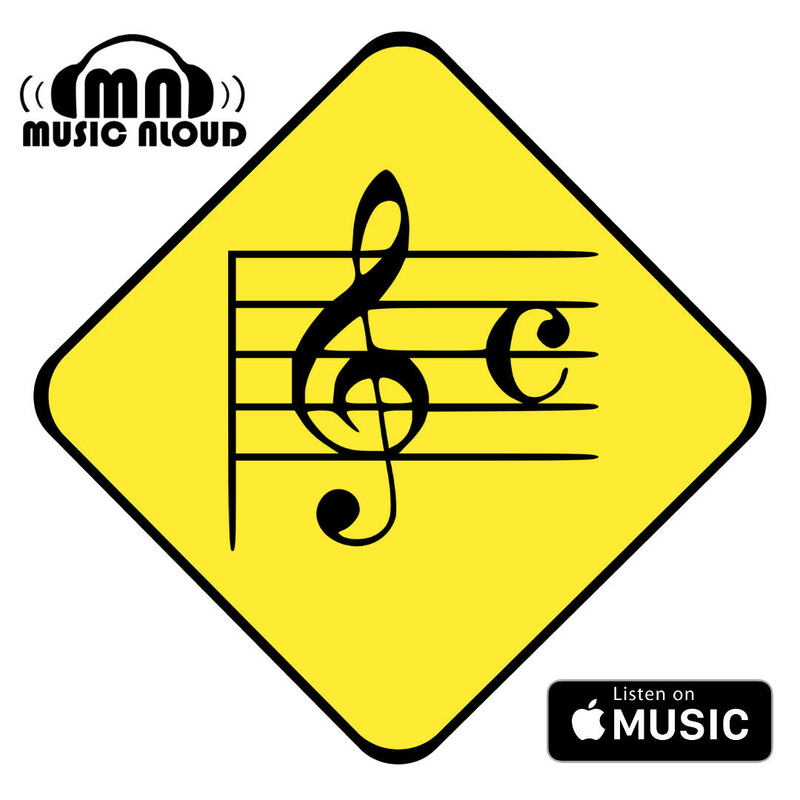 According to a BBC estimate, he has sold more than 150 million copies of his work comprising music from more than 160 film soundtracks and albums in over half a dozen languages. Recent works include soundtracks for Gurinder Chadha’s Viceroy’s House and sports film Sachin: A Billion Dreams, which have dominated airwaves and delighted his fans globally. In 2001, Andrew Lloyd Webber invited AR Rahman to compose for his musical, Bombay Dreams. The production opened to packed houses in London’s West End and had an unprecedented run for two years, later premiering in New York. His music further led him to be noticed internationally, with several of his tracks featuring in films such as The Lord Of War, Inside Man and The Accidental Husband. 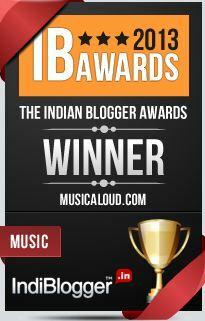 His composition, the Bombay Theme, has been featured in over 50 international compilations. He has also scored the music for mainstream productions such as Slumdog Millionaire and 127 Hours by Danny Boyle; Disney’s Million Dollar Arm and The Hundred-Foot Journey; Shekhar Kapur’s Elizabeth – The Golden Age; Couples Retreat; People Like Us; Pele; and the Chinese film, Warriors of Heaven & Earth among others. In 2011, AR Rahman joined the super band SuperHeavy comprising Mick Jagger, Joss Stone, Damian Marley and Dave Stewart and he has collaborated with several other international artists including Nusrat Fateh Ali Khan, Michael Jackson, Michael Bolton, MIA, Vanessa Mae, the Pussycat Dolls, Sarah Brightman, Dido, Hossam Ramzy, Hans Zimmer and Akon. The milestone concert falls during the British Council’s UK-India year of culture. Two decades ago, to commemorate 50 years of Indian Independence, Sony Music signed AR Rahman as their first artist in South Asia. The result was Vande Mataram, an album that instantly connected Indians worldwide and succeeded in rekindling the spirit of patriotism. “Yesterday, Today, Tomorrow” is presented by Hamsini Entertainment, UK and HueBox Entertainment, India. The event will happen at the SSE Wembley Arena on the 8th of July, 2017. Tickets can be purchased here.